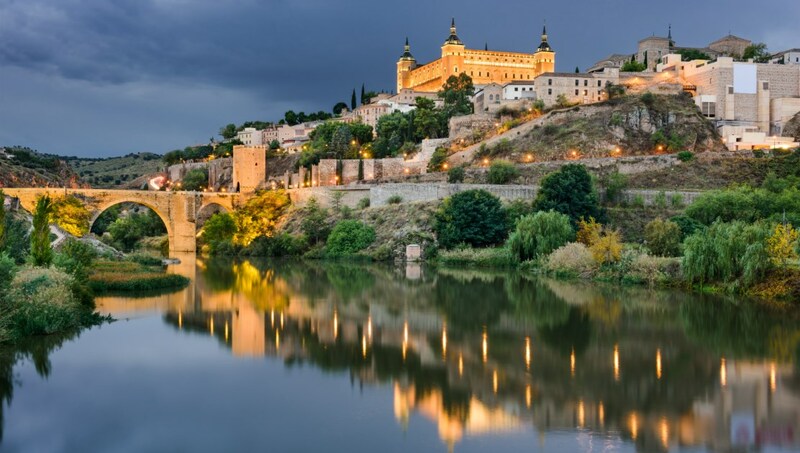 Known as the “City of Three Cultures” because Christians, Muslims and Jews lived peacefully there since the 8th century, Toledo, Spain is an incredible trip back in time. These are only the best of the city’s endless list of hidden gems. 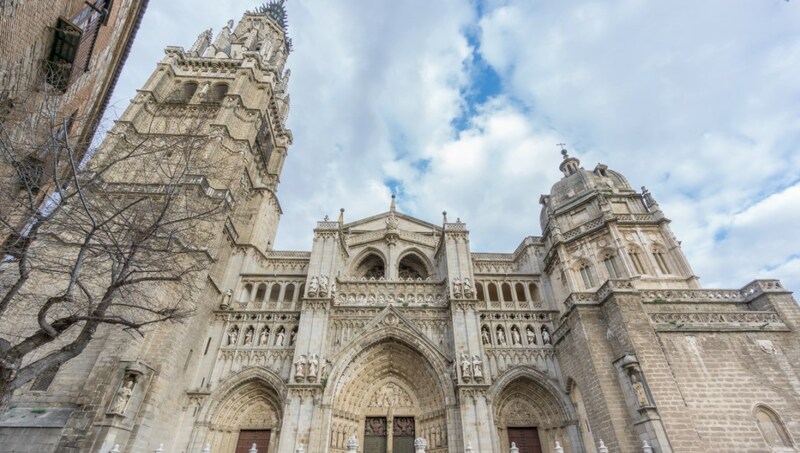 As a monumental example of a High Gothic cathedral, some call the Toledo Cathedral the best of its kind in all of Spain. What the art museum lacks in quantity, it makes up for in quality. The highlight of the museum is its El Greco collection, most notably the magnificent Retablo de la Asuncion. This epic medieval bridge spans across the Tagus river. Built in the late 14th century, it is still an architectural wonder with its five arches spanning at the longest 40 meters. Be warned, this magnificent castle is closed to the public. Admire it from the outside or book a hotel room on the inside with Residencia Juvenil Castillo San Servando. You can’t miss this massive complex overlooking the city. Today it houses a never-ending military museum; understanding Spanish history is understanding Spanish conquest. 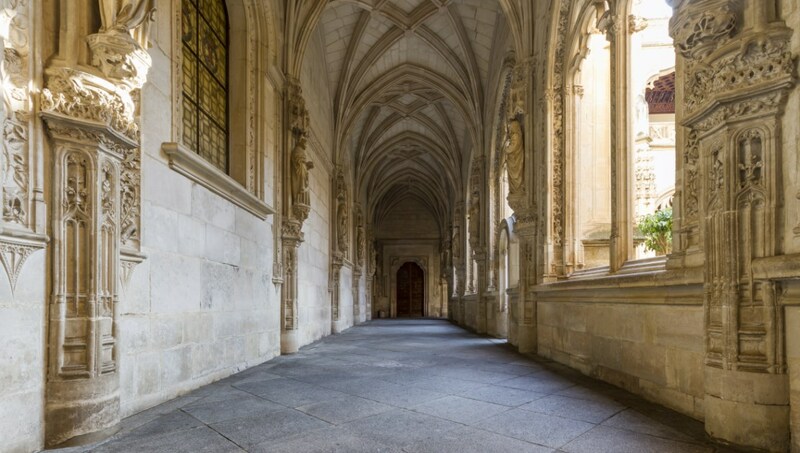 Describing this stunning Gothic monastery is impossible. 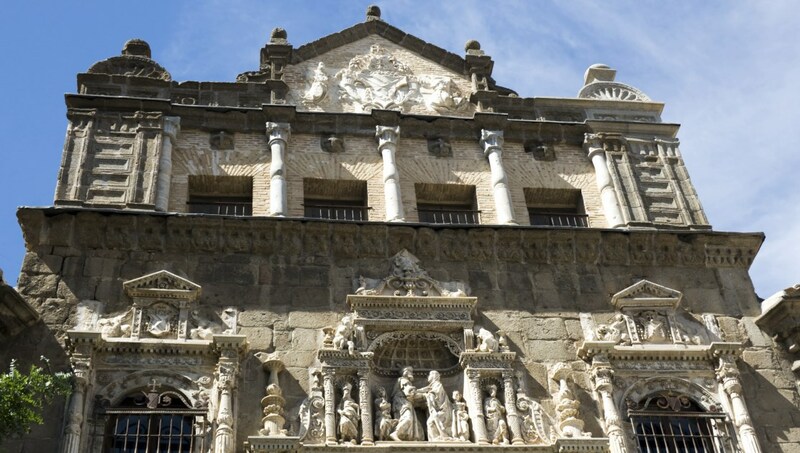 The main cloister is the highlight with its high carved ceilings—seeing it may be the best 2.50€ you’ve ever spent. Surrounding the city on three sides, the Tagus river provides a scenic walkway throughout the area. Pack a lunch or go fishing; centering your afternoon along this river is a must. The Puerta de Bisagra Nueva is the greatest of the city gates of Toledo and a fine example of Moorish influence. Entering the Old City doorway and exploring is a Toledo favorite. 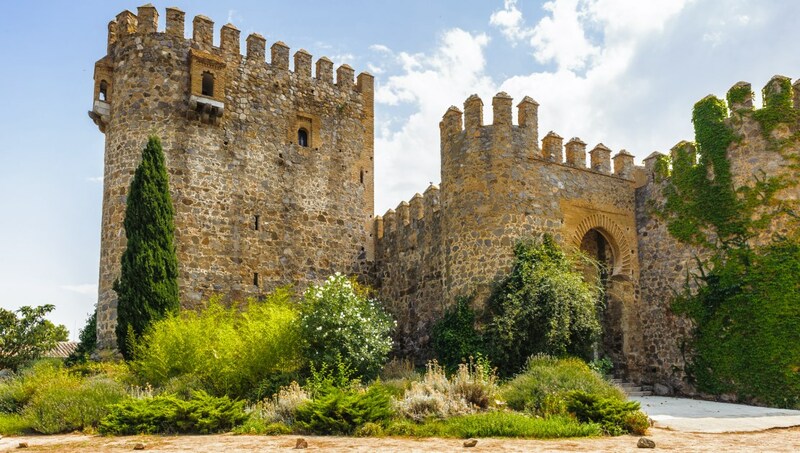 Toledo is a historical epicenter and with a guided tour the leading experts’ inside scoop is at your fingertips. The Toledo Tourist Office in Plaza del Consistorio may well be worth a visit, they’ll even give you a free guide and map. 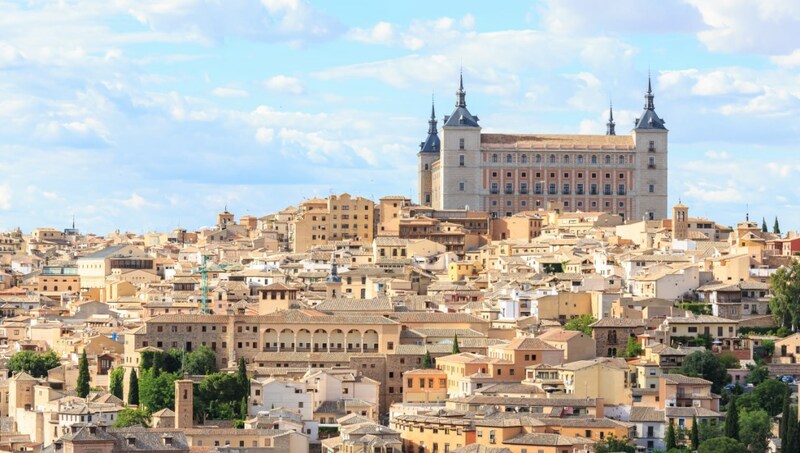 Especially if you’re planning to arrive from Madrid, think about buying a Toledo Card, which includes the fare for a high-speed train from Spain’s capital. Lots of other bonuses too: entry to museums, monuments, and guided tours. The best time to visit is late spring, when the city is in bloom, the temperatures are warm enough to enjoy the outdoors, and the crowds are still thin. 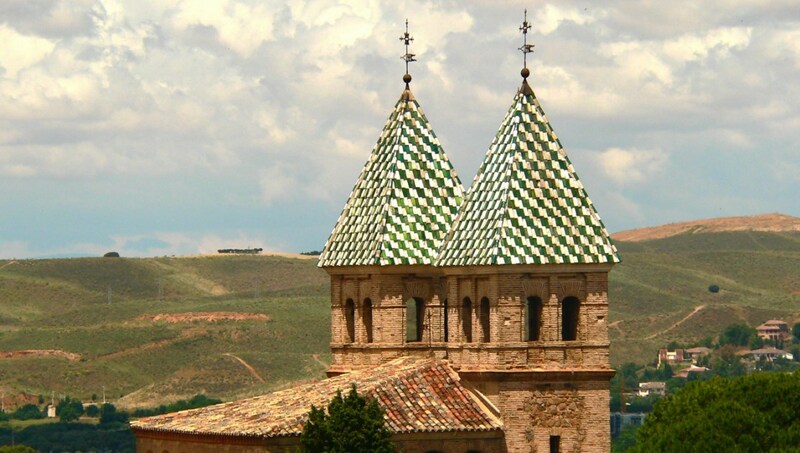 Want to discover all there is to do in Toledo? Click here for a full list. Excellent tour of both towns in one day. I highly recommend it. 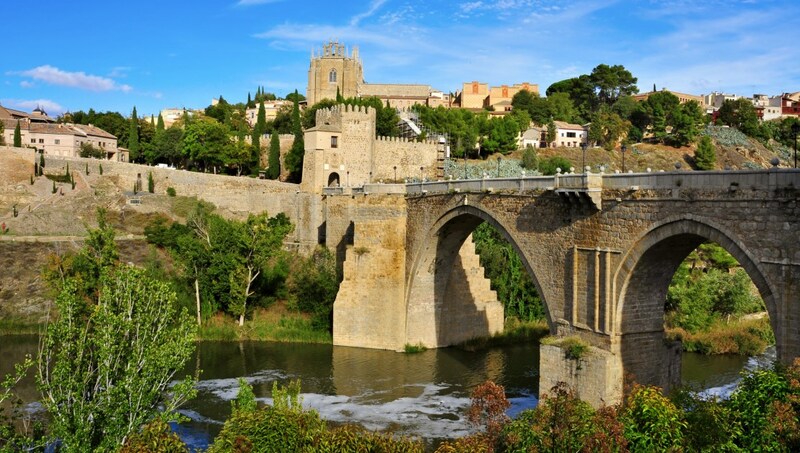 Excellent value tour of both towns with palace entrance ticket in Segovia and cathedral entry ticket in Toledo. The bus was nice and English tour guide Rocia was good. Plenty to eat in both places so don’t worry about food. Wish we had one hour more in Segovia and less in Toledo.